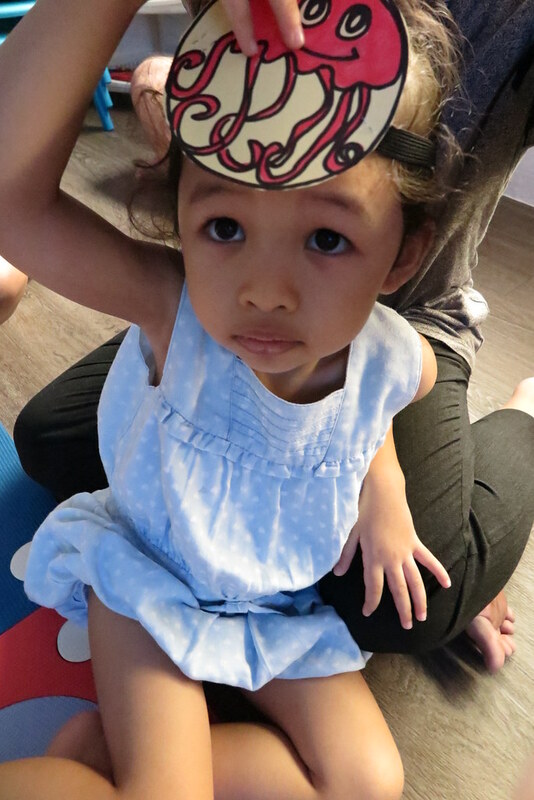 After a week of new experiences at a Christmas Workshop, Ayra attended one more preview class that week on a Saturday. I must be crazy thinking Ayra would be able to go through so many new experiences in a week, but at least both of us survived and enjoyed each other’s company that week. 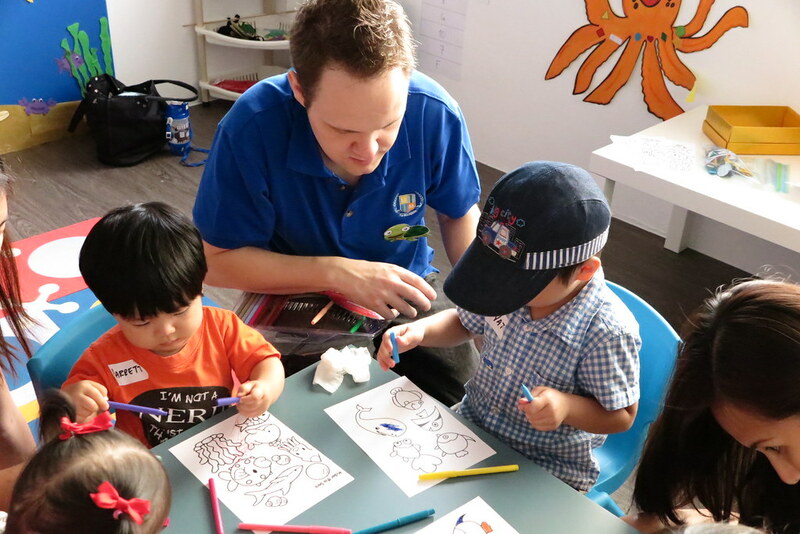 LA Madison is a brand new school at Marine Parade and offers enrichment programmes for children 18 months to 6 years old. 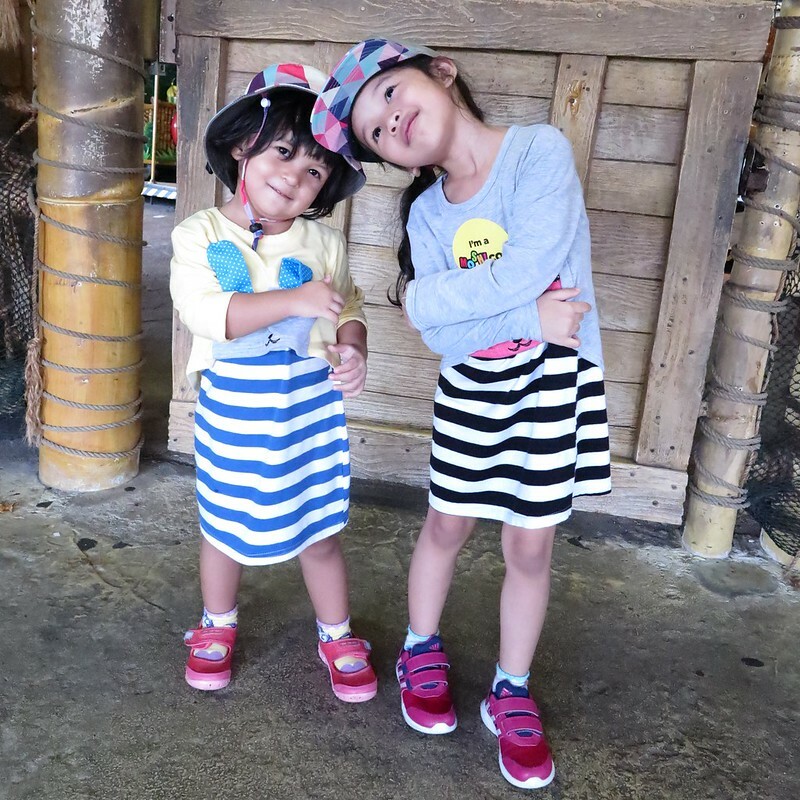 Together with other bloggers, Ayra and I attended their very first preview class for Happy Feet (18 months to 3 years). 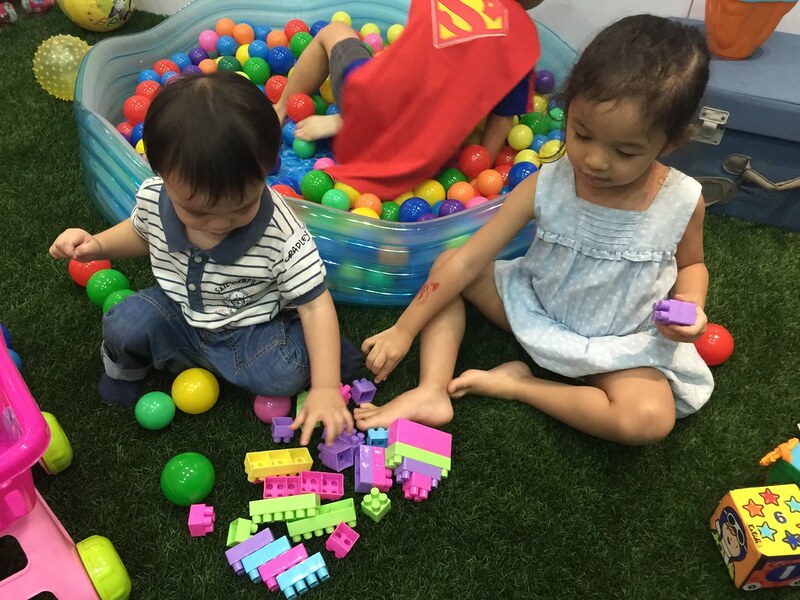 Happy Feet focuses on the development of functional independency and important sensorial and cognitive skills through fun and carefully prepared learning opportunities and themes that connect to one another in a structured and meaningful way. Children will learn about the body and its function while developing sensory areas. 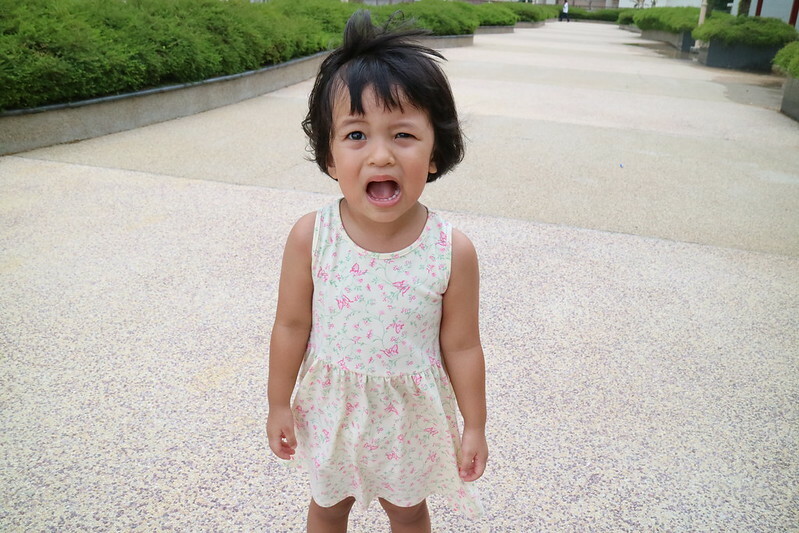 As expected, Ayra was behaving like a super strong magnet that was stuck to me throughout the entire session. She did demagnetised herself a couple of times when she was encouraged to take part in the activities conducted. The teachers at LA Madison were not as restrictive as compared to her teachers in child care. They allowed her to decide what she was more comfortable in doing and at her own pace. When they sensed any child losing focus or got distracted, they will try to minimise any disruption of the activity by encouraging the child with small reward (a sticker) or allow the child to work on other side activities available in class. 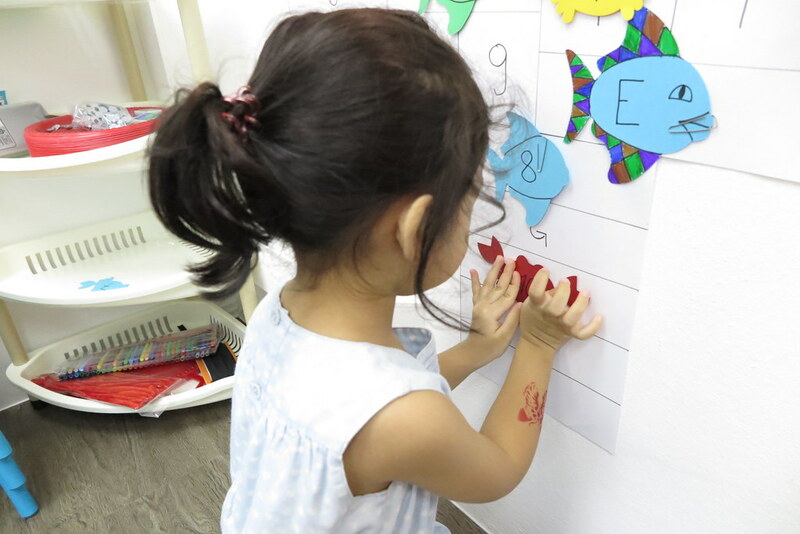 The day’s theme was under the sea with different sea animals pasted around the classroom and activities all planned around the theme. Children’s knowledge and understanding were enhanced with repetitive use of words and actions throughout the different activities during the two hour session. I’m also happy to see that the children in class get to learn through experiences of touching (props and materials), moving (actions and dance movements), listening (songs and stories), and observing (teacher’s instructions and steps for activities); all part of the important principle from Reggio Emilia approach in early childhood education. The school also has got a nice cosy and fun corner for children to play before and after classes. A great way for shy kids to warm up with the rest of the class and teachers. LA Madison will be having their Open House on 20 December 2014 from 9.30am to 12.00pm. More information can be found on the Event page on Facebook. There will also be talks and trial classes that day for parents who are interested to enrol your child for enrichment programmes. Do sign-up for these talks and trial classes as the space is limited per session. More details on their Event page on Facebook. Quote “The Loving Mum” when you register your child at LA Madison during the Open House and get extra classes for the first month. Sign-up for their daily programme (5 days/week) and get additional 4 Saturdays of free classes or sign up for their 3 days/week programme and get additional 2 Saturdays of classes for free. LA Madison recognizes that each child is an individual; each child is an angel; that all children are creative; that all children need to succeed. 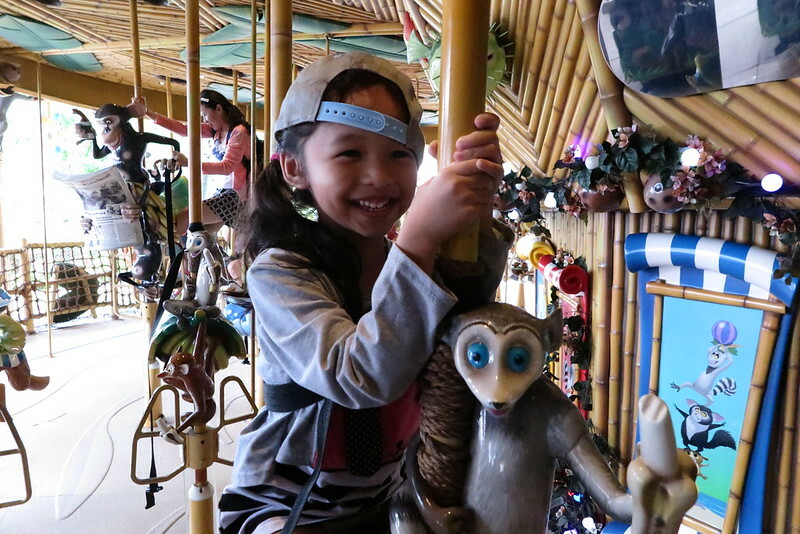 Therefore, LA Madison respects the individual needs of children; fosters a caring and creative environment; and emphasizes the social, emotional, physical, intellectual development of each child. * A complement of basic skills – linguistic, mathematical, scientific, artistic, physical and social. * Developing self-esteem and high personal expectation. * Tolerance and respect for others. 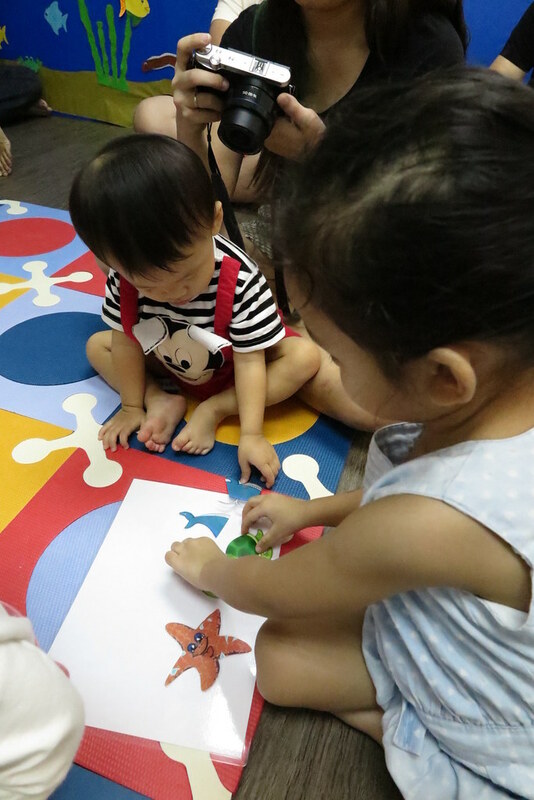 LA Madison supports the mental, social, and emotional development of children from 18 months to 6 years old through learning in English or Chinese. Children will be taught using Montessori Method and adaption of Reggio Emilia approach to achieve linguistic, mathematical, scientific, artistic, physical and social skills.